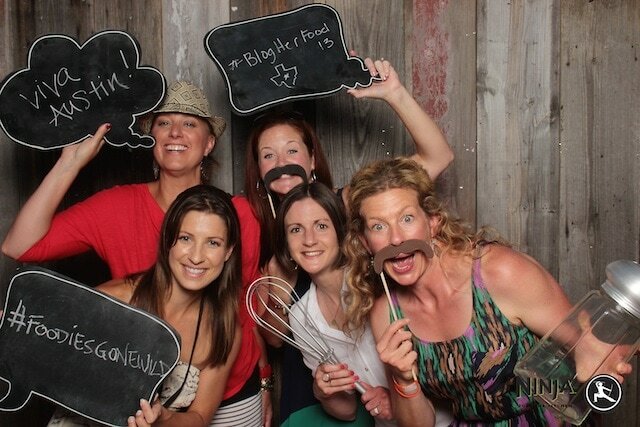 I spent last weekend in Austin, Texas for BlogHer Food 2013. This was the first time traveling without my guys, so it was a little bittersweet, but I had fun hanging out with my gal pals! It was my first time visiting Austin and I already want to go back. It is a great city…with lots of good food and fun! The weekend was full of parties, dinners, late nights, and lots of girl talk. 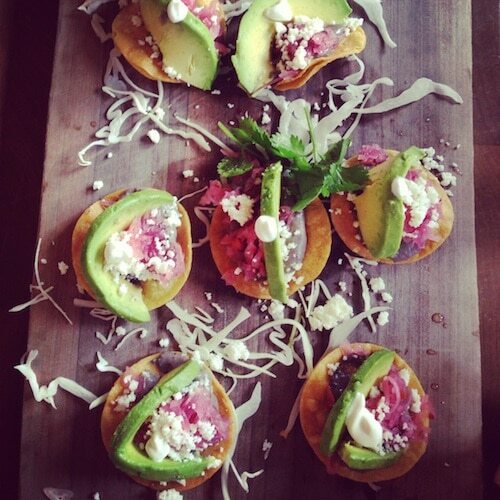 I loved these little avocado tostadas at the Tasty Kitchen party! So good! 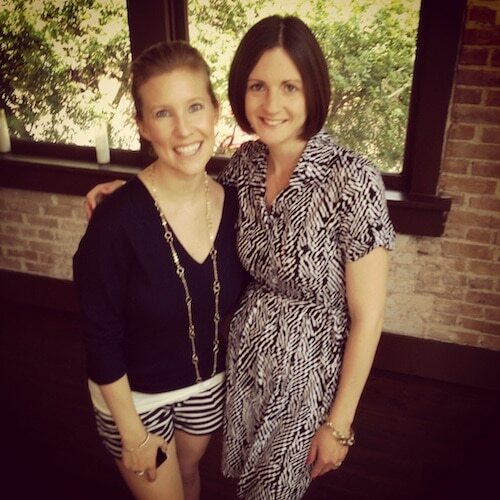 I hosted a ZipList party with Lori from RecipeGirl but didn’t snap any photos. I guess I was too busy visiting with friends. It was so fun seeing old blogging friends and meeting new faces! The blogging community is all kinds of awesome! Hanging out at the KitchenAid booth! 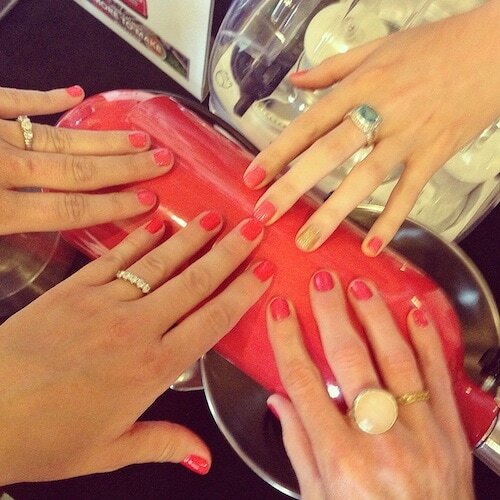 Our nails matched the new watermelon mixer! I also attended a dinner with KitchenAid at Uchiko. If you ever go to Austin, you must eat there. It was amazing!! I went to The Backspace with Michael Angelo’s and had the BEST pizza! 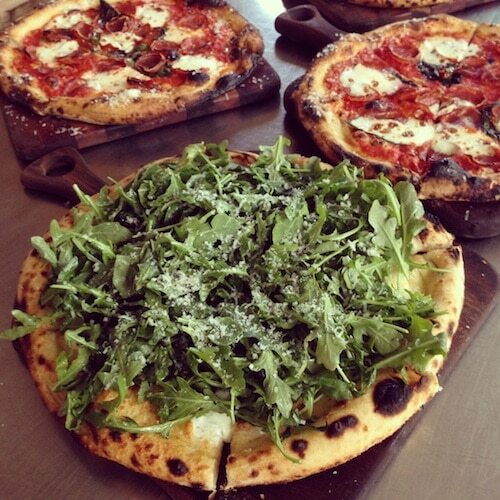 Pizza perfection and lots of fun! 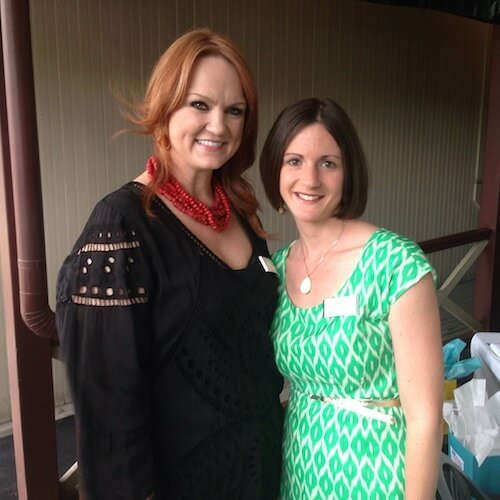 On Friday night, I hosted a Kitchen Conversations dinner with Land O Lakes and The Pioneer Woman. We talked about modernizing vintage recipes. 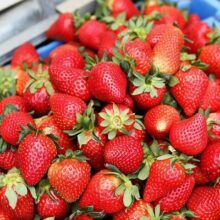 I will be sharing our recipe on Friday. Stay tuned-it’s a good one! 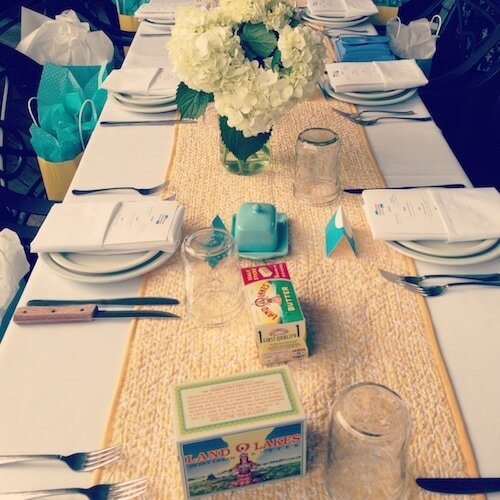 I loved the table settings and the vintage Land O Lakes recipe boxes! 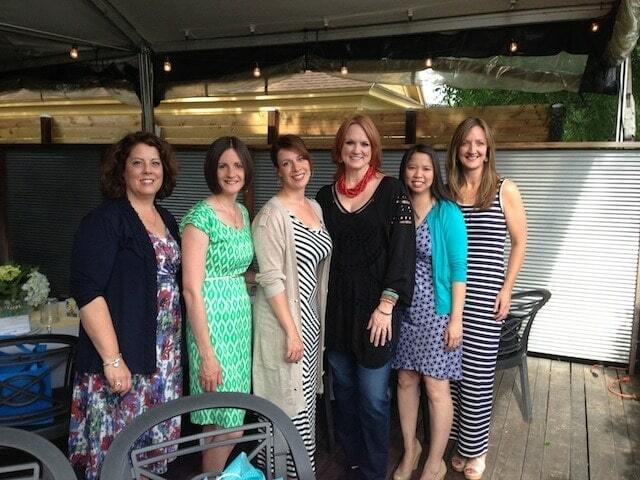 The Kitchen Conversations group-Becky, me, Sommer, Ree, Julie, and Brenda! I always love seeing Ree! She is the best! The dinner was at Moonshine and the food was fantastic! 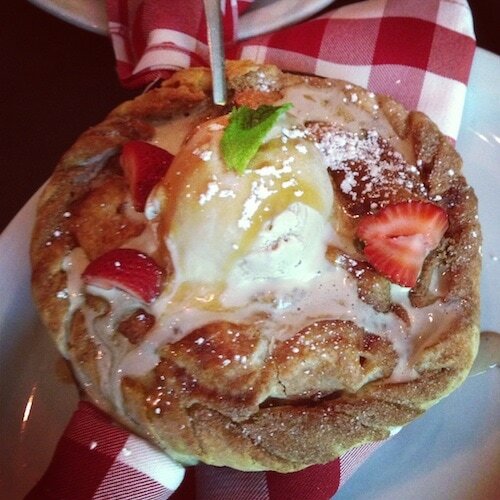 The highlight of the meal was the skillet apple pie with maple ice cream! We all grabbed a spoon and dug in to this baby! 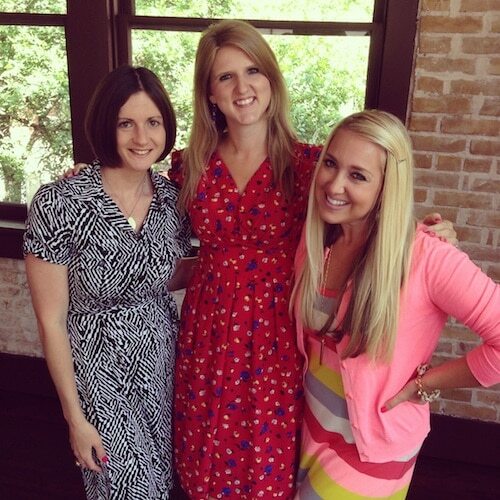 On Saturday, I hosted a Nestle luncheon with my blogging buds, Amanda and Jenny. The lunch was at Parkside and the food was incredible. 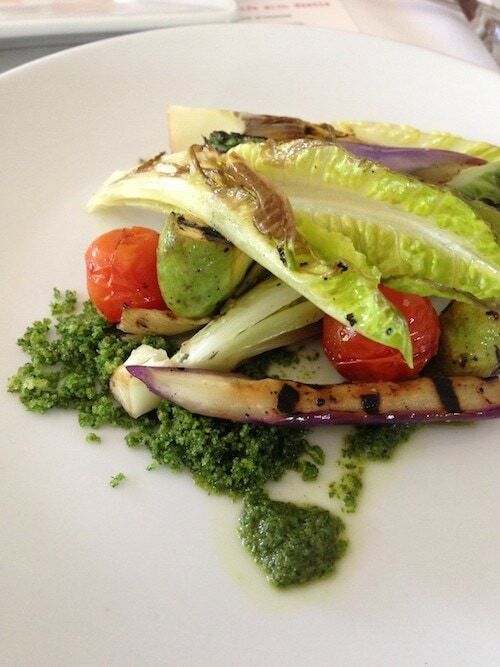 I can’t stop thinking about the grilled vegetable salad with pesto breadcrumbs! It was one of the best salads I’ve ever eaten! And the trio of desserts were fabulous! 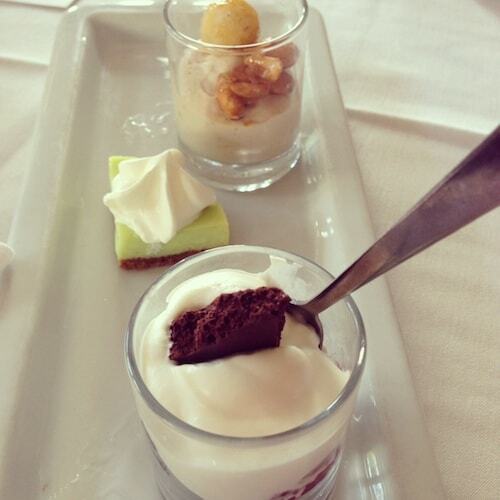 Dark chocolate crisp and berry parfait, key lime pie, and Butterfinger mousse. I devoured them all! It was such a fun afternoon! Since my boys stayed at home, I shared a room with my best bud, Lisa. We had so much fun. I love her to pieces! 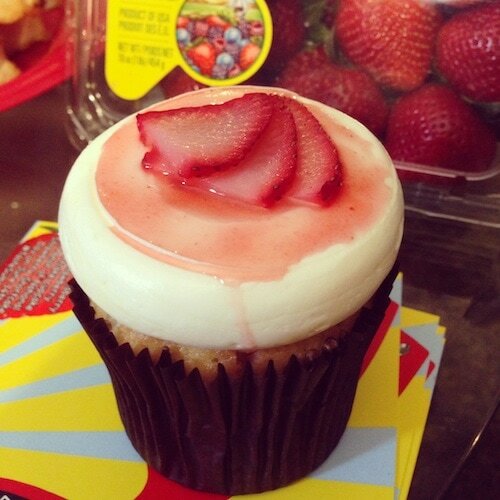 I went to a Driscoll’s party and fell in love with this Strawberry Shortcake cupcake. It had a shortbread crust at the bottom-genius! The cupcake was similar to pound cake and it had whipped cream frosting and strawberries on the top. Swoon! Getting a little crazy at the closing party with my favorite friends-Heidi, Rachel, Jeanine, and Kelley! I had a chocolate chip salted caramel ice cream sandwich from Cool Haus and it sent me into sugar shock. It was too good! Sunday morning, I went on a walk by Lake Austin. 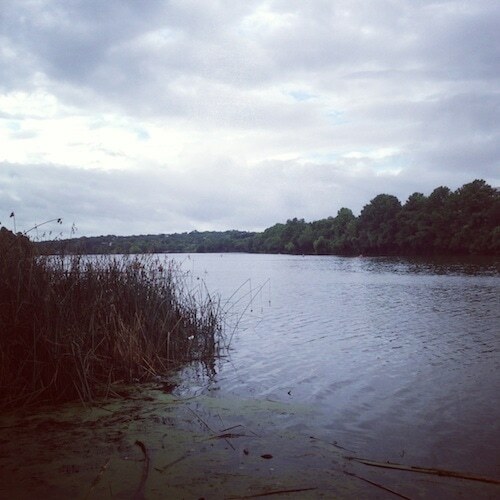 It was nice to get out and enjoy the scenery! After our walk, we had breakfast at the Austin Whole Foods. It is the flagship store and the mother of all Whole Foods. It was paradise! I wish I could live there! Thanks Austin and BlogHer Food for a great time! Until next year! What an amazing recap of the event! It’s actually the first comprehensive recap I’ve seen and I appreciate you taking the time to do it and post all these wonderful pics! So many awesome bloggers and I bet the fun-loving energy was running high! And look at you throwing all those parties! Woot! Followed on Instagram and it seemed like such a fun and amazing time! Thanks for the recap! I love this post. Going through the photos was so much fun. What and amazing trip! I used to live in Austin so it’s so fun to see everywhere you went! Moonshine and Parkside are two of my absolute favorites!! Glad you had a great time! Soo jealous! One day I’ll save up enough money to fly over to the US to come to one of these!! Hi! 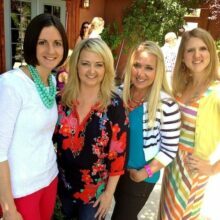 Can you list all your close friends blog sites? I know most sites, but think I might be missing out on some. Thanks! This looks like it was such an incredible trip and you always look so great in your photos! I hope to be able to attend one year! I had so much fun finally meeting you in Austin! I hope to see you again soon Maria. 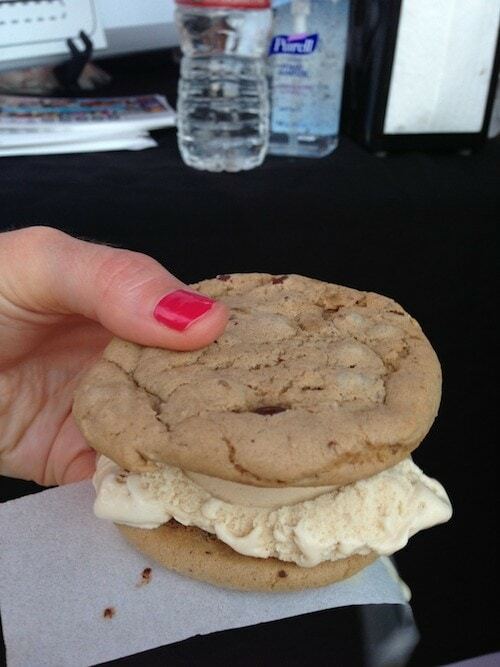 What a blast of a weekend – and did you know that the wrapping of that Cool Haus ice cream sammich was edible?!?! I didn’t know that when we got ’em. Neato burrito! I saw lots of the pics in Twitter and I couldn’t help being a little envious. Everyone seemed to have such a good time and the food looked awesome. Wish I could have been there. Thanks for sharing your experience! It sounds like such a fun city (I have never been) and a great event. Several folks have suggested I attend, but alas, hard to break away from the biz for that long! When Ree said she, MM, and two of their children were on their way to Austin I felt like she was going for this. Think she said they were going to see her mom and sister. Proud you had a good time in my state. Only live four hundred miles from Austin. 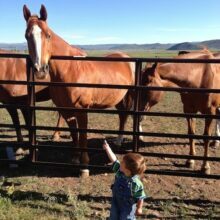 Both of my children have been there since I was. Austin looked like a great time! Wish I could’ve made it. what an awesome re-cap Maria!! I love all the pictures. I always enjoy seeing you and catching up- hopefully its before next year!! So much wonderful food. 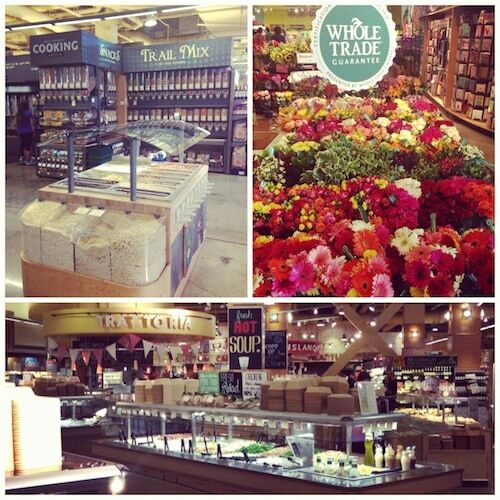 That Whole Foods looks amazing. Kind of want to visit Austin with the intention of only going there. Great post! 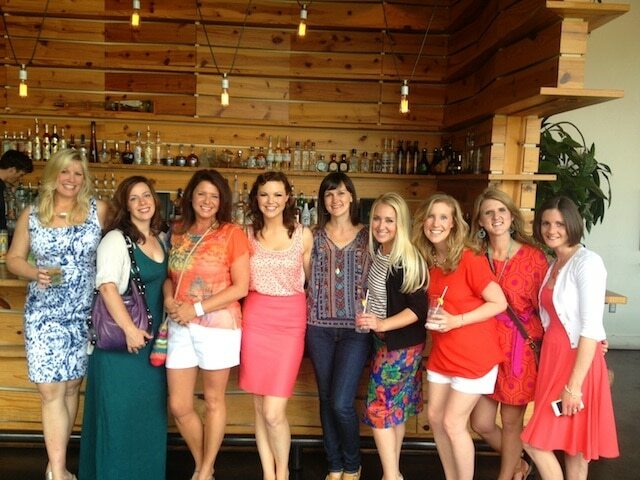 On behalf of the Austin BlogHer Food attendees- we’re so glad you enjoyed our city. Y’all come back now, ya hear?! Looks like so much fun!! I would love to go there someday! Come back to Texas soon!!! The Nestle lunch was absolutely amazing! You totally need to recreate those breadcrumbs!! Glad you enjoyed our city- nice meeting you! What a great weekend! I wish I could have made it, hopefully next year! Amazing! So fun seeing all of you together. Just wish I was there with y’all. Great pics – thanks for the re-cap! Will you please list the names all of the bloggers in the first picture (in front of the pine bar) from left to right? Would like to check out some new blogs. Thanks so much! Love that you got to be with Ree. She is one of my favorites!! Do you think,you could get that strawberry shortcake cupcake recipe? Or maybe you could work on duplicating it! Hint hint. 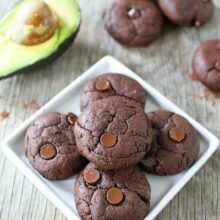 Would love that recipe! I have always wanted to visit Austin. I hear there is a great food scene out there and from the looks of your pictures it’s true! I should have jumped in that photobooth pic! Such a fun weekend, glad we got to do some things together! Great weekend! So good to see you again, looking forward to next time!